I always find myself in adding new ingredients to the classic recipes. I like to do it. 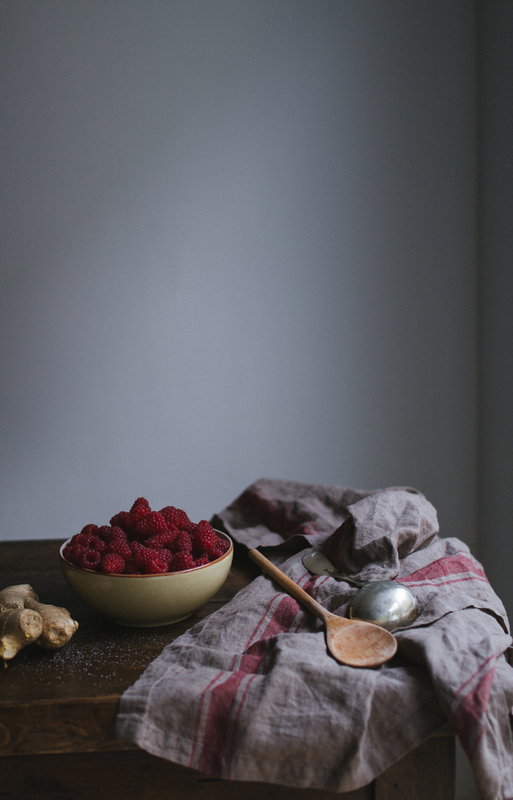 This time I added some fresh ginger because I wanted to get a rich flavorous winter jam – spicy enough and without pectin. And I’ve got it! 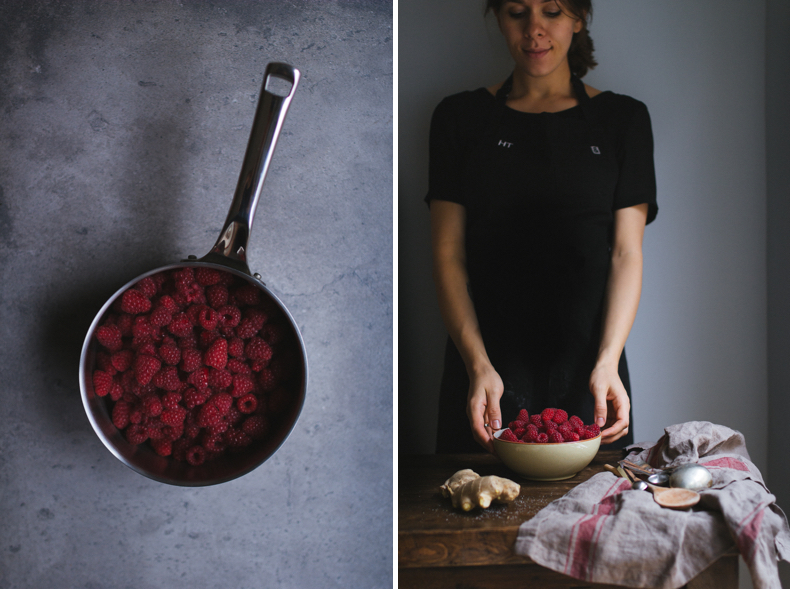 Mix the raspberries and sugar in a big pan. Grind the ginger and add to the berries. Squeeze the lemon juice in and mix. Let the jam boil on a medium heat, stir and reduce the heat to a minimum. Cook the jam for about 1 hour and 30 minutes. Let it cool. Meanwhile sterilise your jars. I do that by placing jars into the 160C degrees heated oven for 20 minutes. -You can use more (or less) ginger to regulate spiciness. This jam is medium spicy. 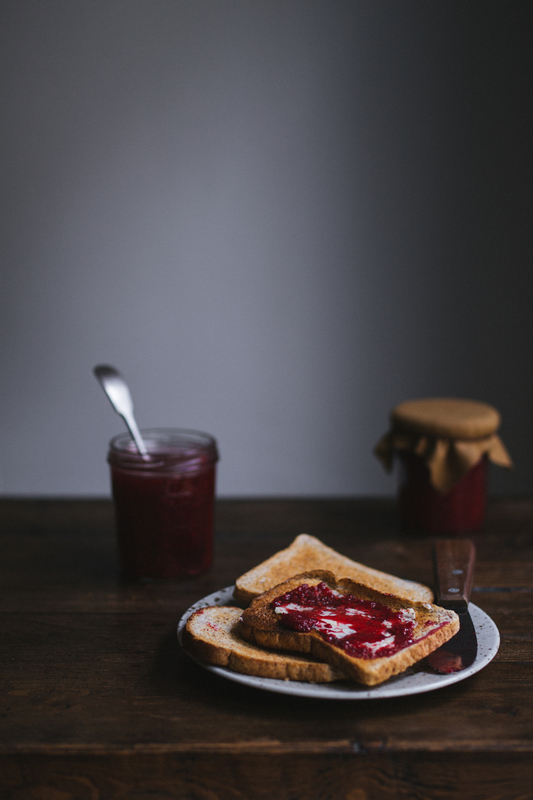 -This jam doesn’t contain pectin so it is quite runny. 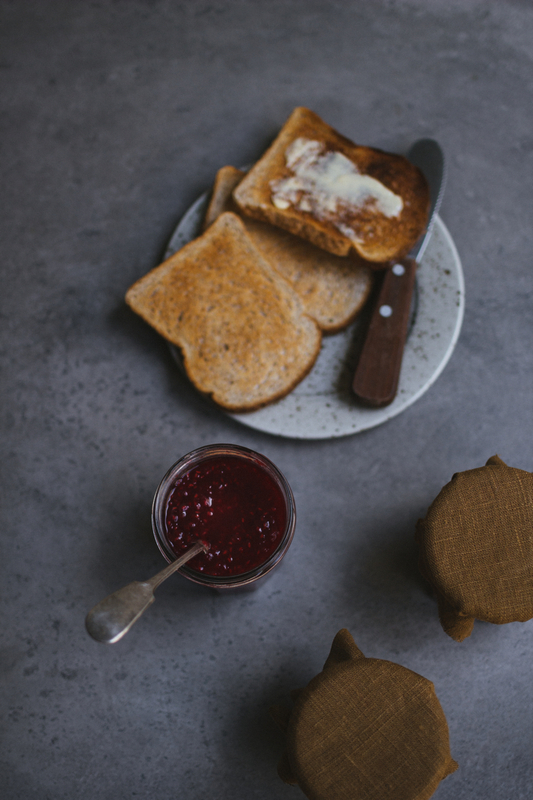 -Raspberry & Ginger Jam is the best for cold seasons with a hot cup of tea. 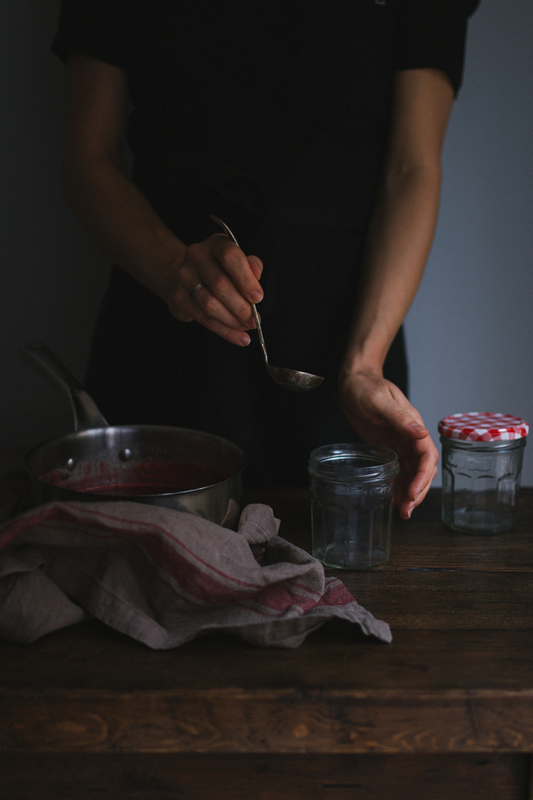 I sterilize my jars the same way!! 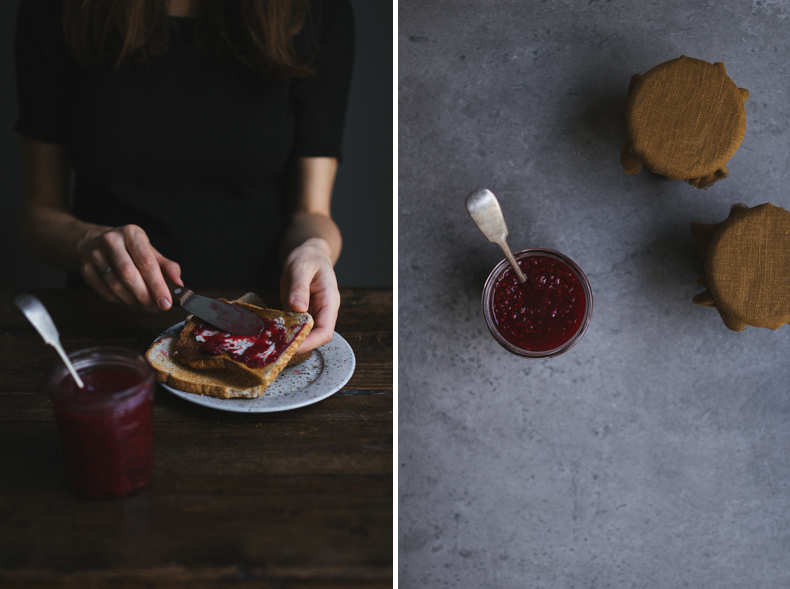 How do you keep the jam pectin free? 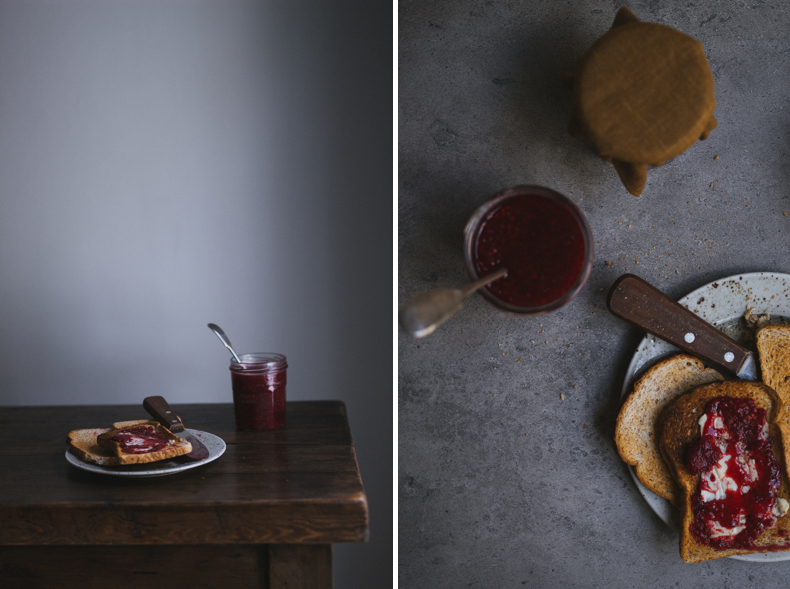 I find that the more I cook the fruit and the sugar the more pectin it has, and I have never cooked a jam for longer than an hour. Does it have to do with the use of the ginger, or the lemon? I usually use Balsamic vinegar when I’m cooking with berries, might that be it? 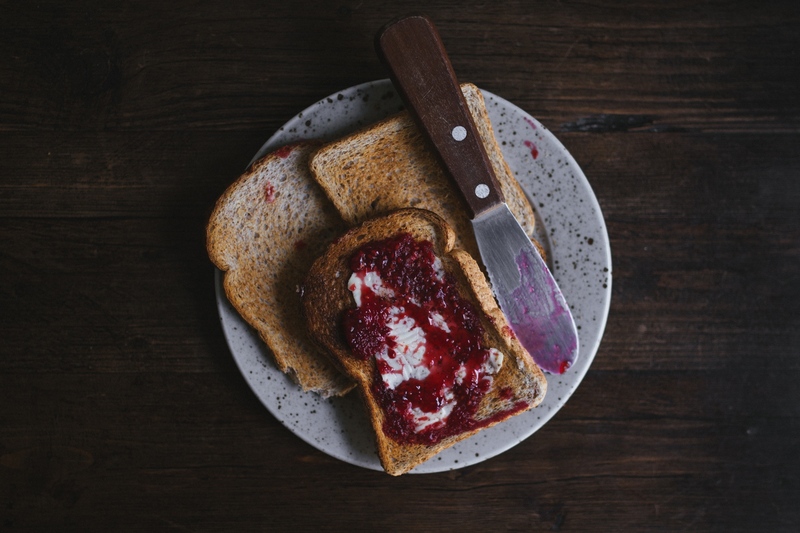 My jams tend to be really thick, not runny at all, sometimes even far too thick for my liking, but I don’t use a lot of sugar in them, as my son tends to dislike things that are too sweetened. Yes, that how a lemon juice works! It contain a natural citrus pectin. And of course the sugar (but I don’t like too sweet jams). Anyway if I want to get a thick jam I use a pectin. If not – I just add more sugar and lemon juice. Never cooked with balsamic vinegar! Should to try it. I didn’t know that about citrus!! I find that balsamic vinegar works sooo well with strawberries, but I also like it with other kinds of berries.